Ah! while I erred I had many friends. Now that I know you, I am alone. 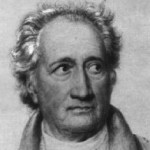 Comments on: "Johann Wolfgang von Goethe Quotes: Ah! while I erred I had many friends. Now that I know you,..."